General Mills is cheering on Cheerios by creating a Super Bowl ad for the cereal brand. 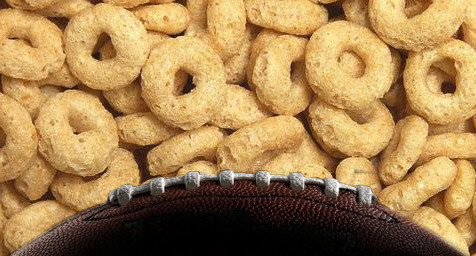 This will be the first time that Cheerios has advertised in the Big Game. It will also be a Super Bowl comeback for General Mills, which hasn’t advertised in the game for the past eight years. AdAge.com reported on why Cheerios is suddenly feeling its oats. The strategy behind sending Cheerios to the Super Bowl lies in reviving the struggling cereal market. The hope is that a powerful ad will awaken America’s love for the cereal of its youth. While Cheerios wants the ad’s concept to remain a game-day secret, the General Mills blog revealed that the common theme throughout the commercials is the power of family love and the importance of both Cheerios and breakfast in connecting the family. Keep up with the latest in creative TV advertising. Contact MDG Advertising.